Messi in Ronaldo and Maradona’s shadow? 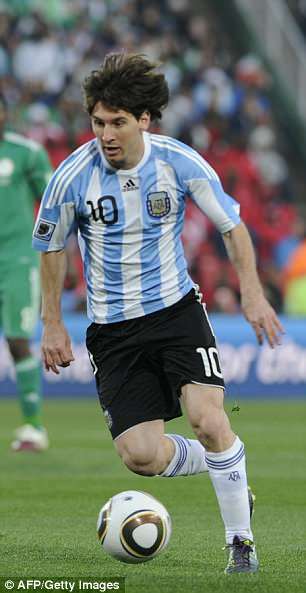 In an Argentina shirt, Lionel Messi is rapidly running out of chances for glory. Russia will be attempt number four. 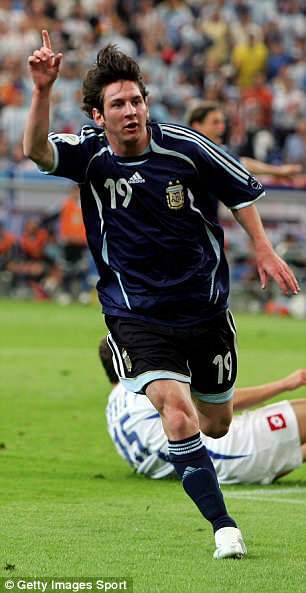 Germany brought 18-year-old Messi a dose of reality in 2006, and again in 2010 and then left it late in 2014 – a goal from Mario Gotze in extra-time left Messi with a decision to make. Retire or go through it again? All the criticism from the stands, all the pressure that clearly weighs heavy on his shoulders, did he still have the energy? 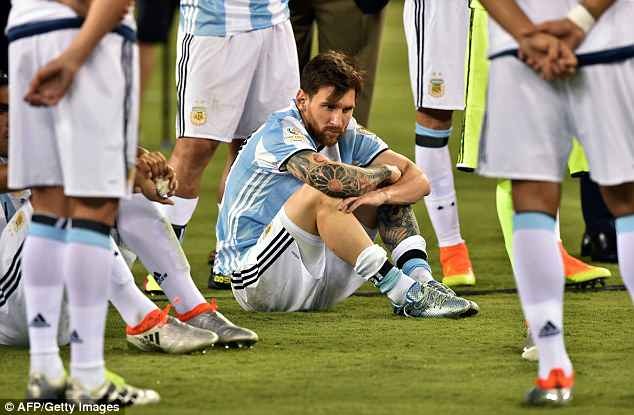 Defeat via penalties in the Copa America final in 2016 was him finished, however. Retirement, he said, was his decision. Only it wasn’t for long and fans were in no mood to let him forget the consequences of turning his back on his country. 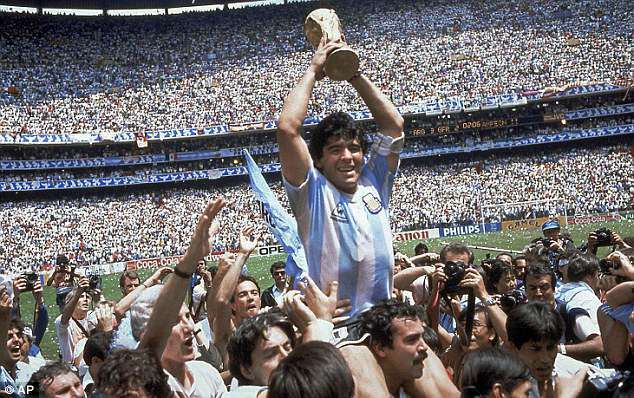 He may have won four European Cups, nine league titles, five Ballon d’Or’s and three Club World Cups with Barcelona, but to Argentina’s ardent supporters, only one thing counts: winning the World Cup. 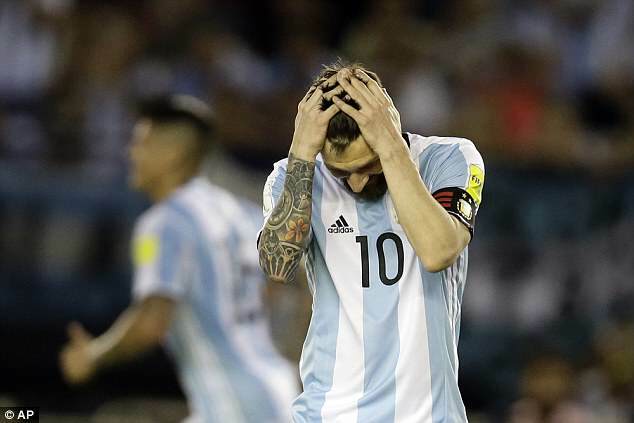 Speaking in his latest book, released last month, boss Jorge Sampaoli went as far to say that pressure on Messi has left him damaged. ‘Messi has a revolver put to his head called the World Cup and if he doesn’t win it, he’s shot and killed,’ the boss said. There is an envy over Messi’s wealth of club success and anger as to why he, one of the greatest to ever play the game, has been unable to translate his trophies in Spain into international honours. Departing for Barcelona at a young age is a cross Messi must continue to bear when faced with heavy criticism from supporters. He would have been eligible to represent Spain but chose not to turn his back on his native country; a decision that cost him two European Championships and a World Cup. A goal on his World Cup debut in Germany against Serbia and Montenegro promised so much before failing to find the net in South Africa four years later. Brazil saw them go all the way, only for Messi to run out of spark just when it mattered the most. 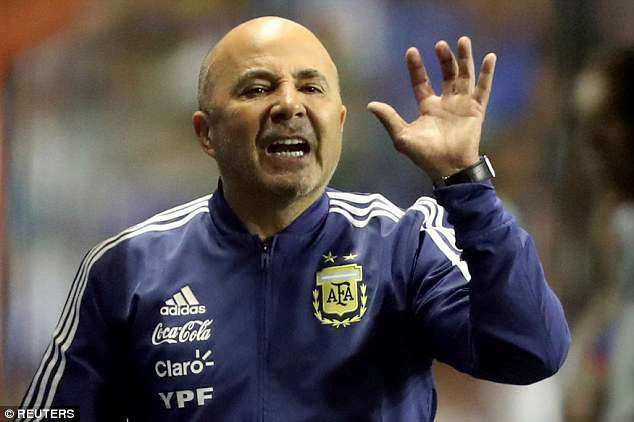 Messi is rightly regarded as one of the greatest of all time but while he does not necessarily convey an ego as publicly as Cristiano Ronaldo, make no mistake that while Sampaoli is the manager, Messi is the real decision maker in the blue and white dressing room. 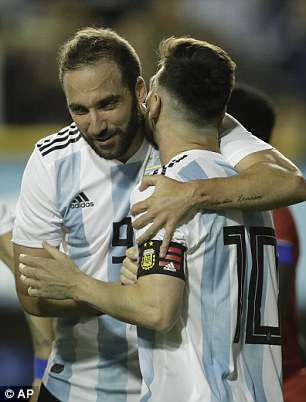 Gonzalo Higuain, Sergio Aguero and Paulo Dybala all suffer drops in form when made to work around Messi while Inter Milan’s devastating goal scorer Mauro Icardi was sensationally unable to earn a place in the 23-man squad for Russia. So Messi has to deliver a trophy. 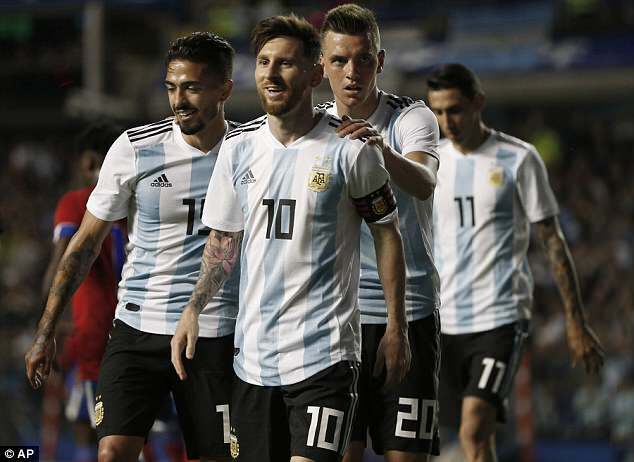 Gunning for a first World Cup since Mexico 1986 when Diego Maradona threw the trophy aloft, Messi will not need reminding the size of the task at hand for Argentina in Russia. ‘El Diego’ was the player of the tournament in Mexico; an instant national hero with the craved trophy clutched in both hands. For Messi, finishing his career without guiding the team to an international honour will leave him firmly in Maradona’s shadow. But while special pressure is reserved for the forward, he will be acutely aware that while they may possess the greatest attacking line in the tournament, it is a much more worrying analysis at the other end. 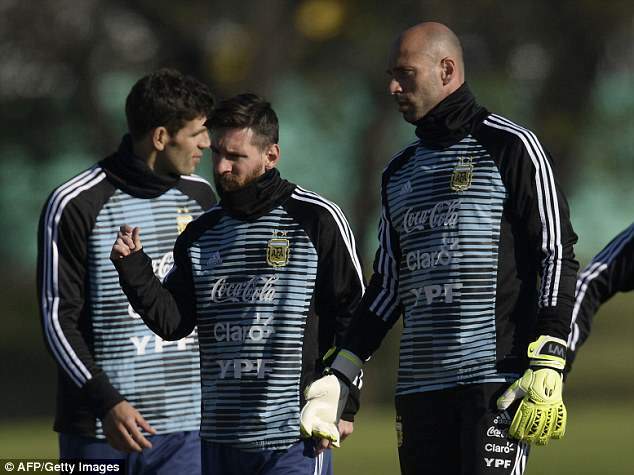 Chelsea’s second choice goalkeeper in Willy Caballero will enter the tournament as Sampaoli’s first choice while Benfica and Ajax provide the largely unknown full-backs in Eduardo Salvio and Nicolas Tagliafico. Federico Fazio, terrorised by Liverpool at Anfield in the Champions League recently, looks – if the 4-0 friendly win over Haiti is anything to go by – set to partner Nicholas Otamendi in the centre of defence. 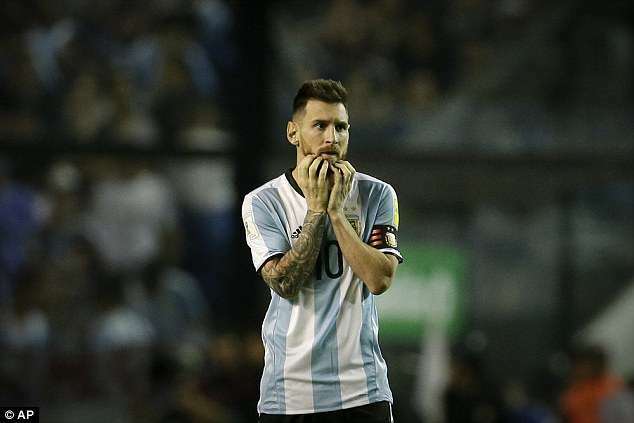 Inexperience, a clear lack of pace and match sharpness defensively are beyond Messi’s control but issues only add to, rather than alleviate, the pressure on Messi’s shoulders as they embark for Europe. Then you move forward to the midfield ammunition Messi may find himself relying on. Giovani Lo Celso has broken through at Paris Saint-Germain but looked suspect in the 3-1 round of 16 defeat to Real Madrid in the Champions League. Manuel Lanzini has impressed at West Ham but he rarely is expected to perform at the calibre Messi needs and expects. And Christian Pavon, tipped to have a breakthrough tournament, will be unlikely to express himself with Messi orchestrating proceedings from the front. But he has to find a way. Ronaldo played his part in helping an unfancied Portugal side go the distance to Euro 2016 glory to finally shake the international trophy off his back. In Russia, Messi knows he has one more chance to do the same.